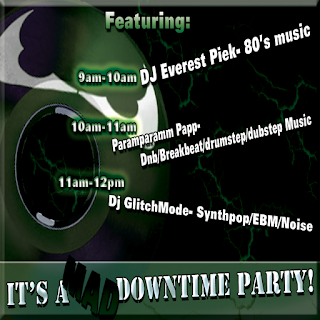 MadPea: MadPea Downtime party! On Now! 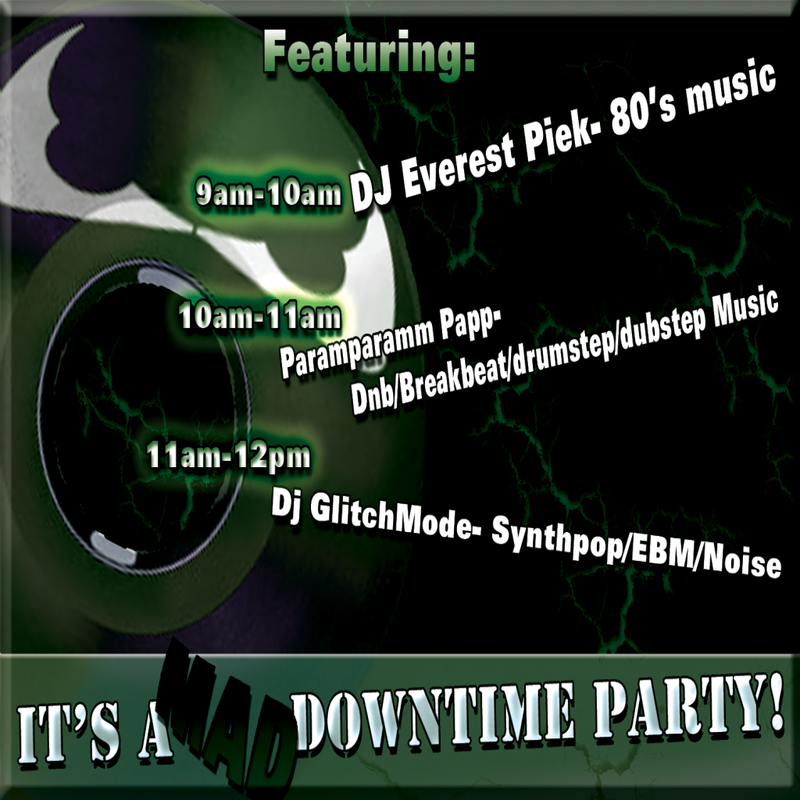 MadPea Downtime party! On Now! As our database is going down for 3 hours, here's what we have for you! 1000L on the board for the MOST INSANE, Smiley's supermaze with prizes, random prize giver, sploder and the lovely Yuna Khaos as your host.. so come on over!